She loved the water possibly because she could see her fair face mirrored in it – and became the most graceful and daring surf-swimmer in the kingdom. 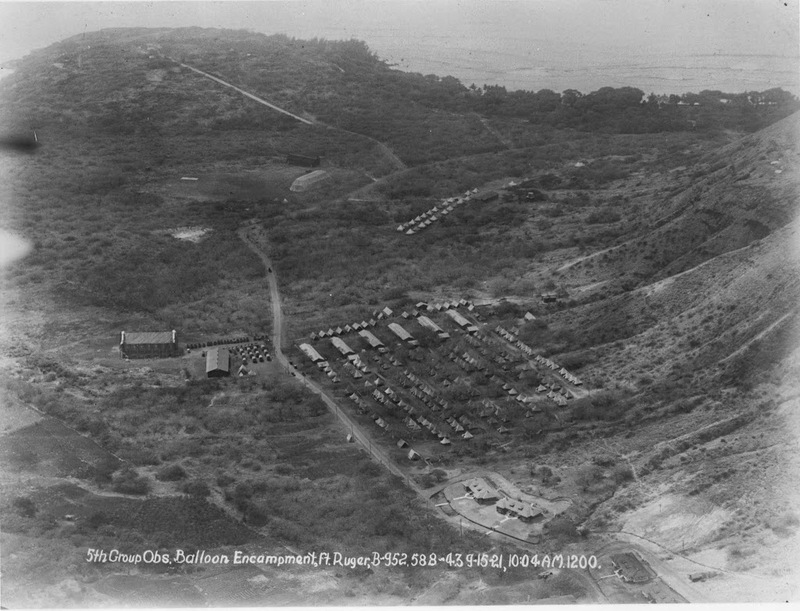 Kelea later married Kalamakua. (Kalākaua) But this story is not about Kelea. This story is about another surfer girl. Reportedly, Mrs James Cromwell became the first woman to take up competition surfing under the guidance of surfing champion and Olympic swimmer Duke Kahanamoku and his brothers. By 1941, Cromwell had 13-boards in the household inventory. 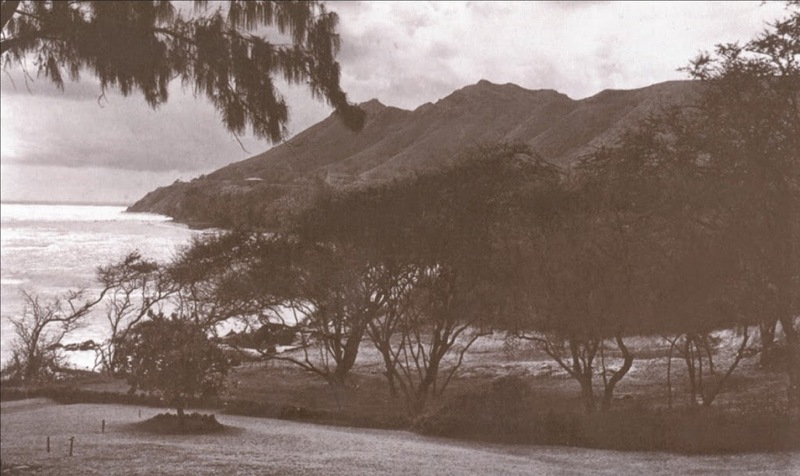 Each of the boards had a name or initials, including one named Lahilahi (thin or dainty,) an affectionate nickname given to her by the Kahanamokus. She later had a more modern board, created by Dale Velzy, who is considered one of the men responsible for the rise of the California surfer culture in the years following World War II. Some suggest Velzy opened the first conventional surf shop at Manhattan Beach in California in 1949. Her board is one of the first boards Velzy created using the new polyurethane foam material; boards were previously made of balsa wood. Oh, by the way … Mrs Cromwell was more generally known as “the richest girl in the world,” Doris Duke. Doris Duke, the only child of James Buchanan Duke, was born on November 22, 1912. Her father was a founder of the American Tobacco Company and the Duke Power Company, as well as a benefactor of Duke University. When Mr Duke died in 1925, he left his 12-year old daughter an estate estimated at $80-million. Her surfing legacy lives on. Designed in the English manorial style, Rough Point was originally built for Frederick W Vanderbilt, sixth son of William H Vanderbilt. When it was commissioned in 1887, Rough Point was the largest house that the Newport summer colony had yet seen, replacing two wood-frame houses at the extreme southeast end of Bellevue Avenue. 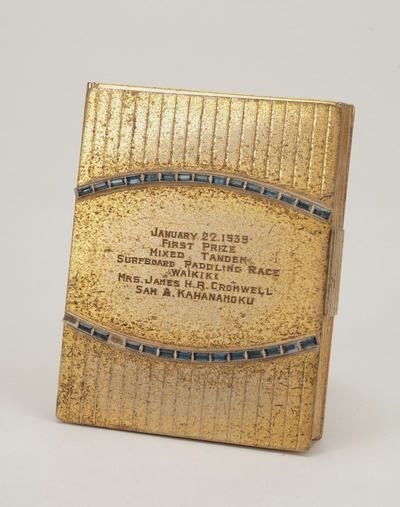 The image shows a sapphire and gold compact for the First Prize in Tandem Paddling won by Doris Duke (Mrs James HR Cromwell) and Sam Kahanamoku (75-years ago, today.) In addition, I have included other images in a folder of like name in the Photos section on my Facebook and Google+ pages.